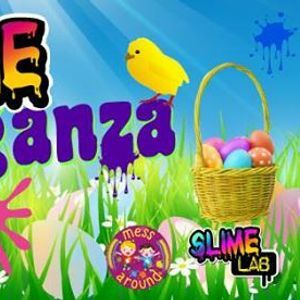 Spring into our Eggstravaganza Slime Lab party where your little chicks can have some slimey Easter fun creating Chocolate Slime and Clear Spring Slime. 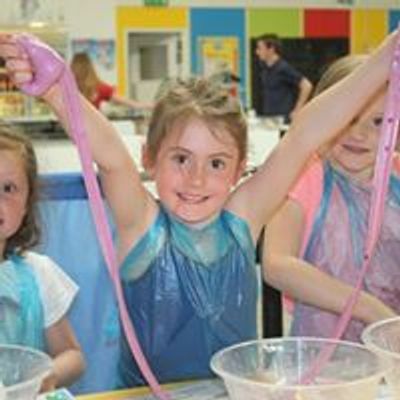 Come along and join our Easter Eggstravaganza slime making workshop workshop on Wednesday 10th April at King Arthur's Hall and go hunting for your perfect slime! - Chocolate Slime– No need for egg hunting here. Make your own chocolate coloured slime and add your favourite scent to make this slime good enough to eat! - Spring Slime- This clear slime will put a spring in your step! Add a little magic to create this perfect bubble making slime. You can experiment with slime handling, win some slimey prizes and make new friends. Prizes will be given for the best fancy dress costumes or Easter outfits, if you would like to dress up. Parents are asked to supervise their children as they journey to become slime masters! You might even pick up some tips so you can continue to make slime at home! What time should we arrive? The session starts at 10am, please arrive 5 minutes prior for registration. The session will finish at 11:30am . We will provide an apron and wipes but please try and remind your children to wear old clothes and tie up long hair. Your confirmation email will include all the slimey details. All you need to do is complete the booking form on our website. Payment method is via PayPal, so have your details handy when you book. Be sure to join the event on Facebook to get the latest event news. I look forward to meeting you at one of our workshops.